Hi! Welcome to "Enchantix", the TFL approved fanlisting for Bloom , the sweet and adorable protagonist of Winx Club, an amazing Italian Series created by Iginio Straffi and Rainbow S.p.A.! Bloom is an energic and strong girl born to be a fairy. She's searching from her real parents and her real identity is very mind-blowing, something that she would never imagined! She's a very sunny person, it's impossible to don't love a simple but fantastic character like her! 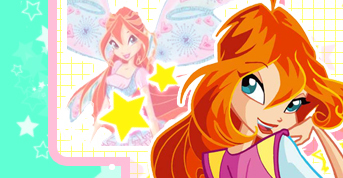 Bloom is my favourite character from Winx Club since always, and I'm very proud to run her fanslisting. Please, choose a link from the left to fully access the site, read the rules, and if you're a fan of Bloom, feel free to join her fandom ! 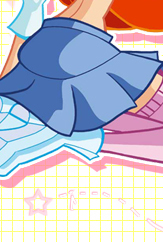 Winx Club is the property of Iginio Straffi & Rainbow S.p.A., all right reserved. Layout & contents of this fan-site are © Dorothy.